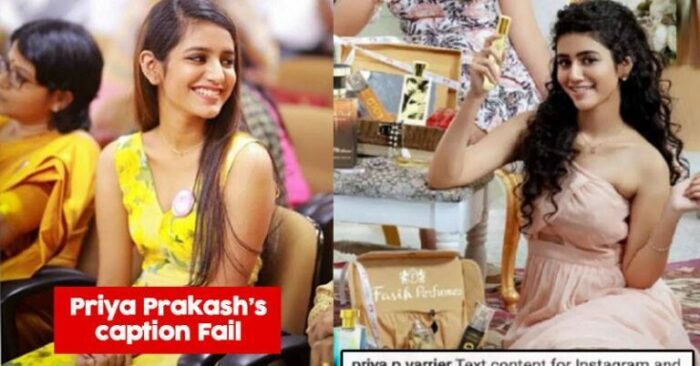 Priya Prakash Varrier is a great example which shows the power of social media. Within no time she went viral and became a known face in the young audience. This made brands latch on the opportunity for advertising and Munch was one of the first few names which capitalised on Wink Girl’s popularity. As it happens with almost everything, social media marketing has some negatives for brands. 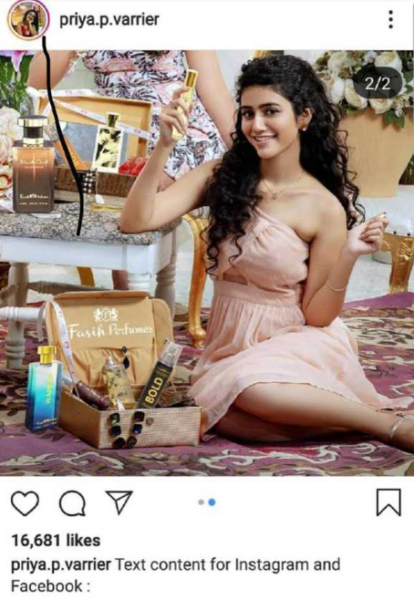 Every now and then we see celebrities getting involved in controversies for brand promotion and Priya Varrier is the latest name in this list. 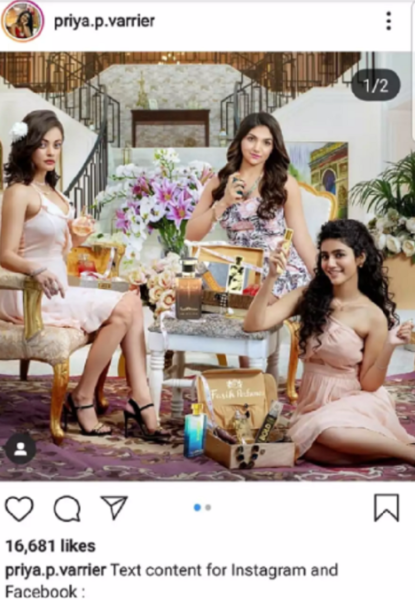 What happened is Priya shared a picture promoting a perfume brand, and the picture which should have grabbed the eyeballs of the netizens received all the attention due to the caption and she became the victim of trolling on social media. She mistakenly copy-pasted all the instructions she must have received in the mail given by the brand. Well, some believe this as a Marketing stunt but if it isn’t that, then this is advertiser’s nightmare as netizen had a new topic to laugh at. Although she later corrected the post, the screenshots had already gone viral. This isn’t the first instant when something like has happened with an Indian celebrity. 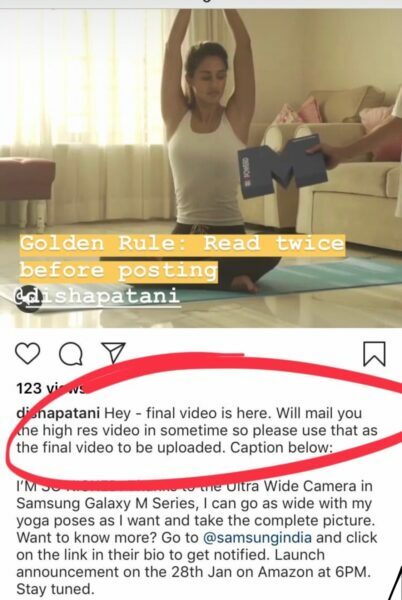 Earlier, Disha Patani also became the nightmare of every advertiser, after putting a promotional Instagram post for a mobile brand. Like Priya, she had copy-pasted the entire instruction provided to her by the brand and later rectified the mistake. If this is a Marketing strategy, do you think it is a good one or not? Do let us know in the comments section.